EPA’s regulation of carbon emissions provides an opportunity to modernize the U.S. electric power system for the 21st century. Advanced energy technologies and services of all sorts reduce carbon emissions and improve the electric power system at the same time. They are available today, proven in the marketplace, and ready to be utilized by states for meeting EPA carbon standards. 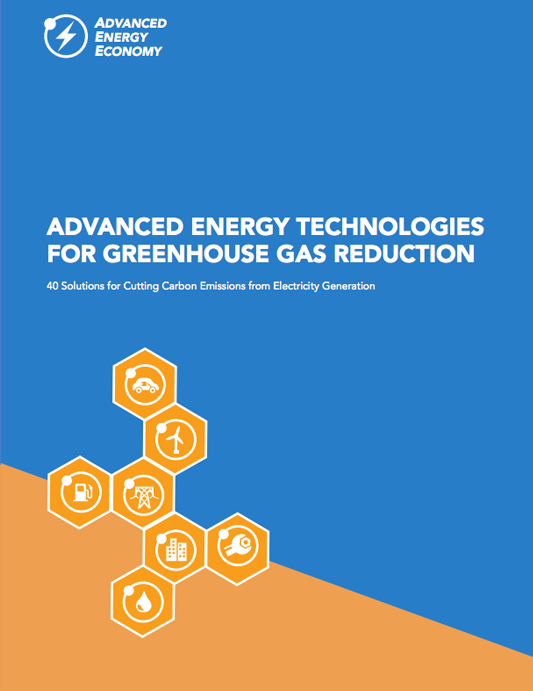 AEE’s Advanced Energy Technologies for Greenhouse Gas Reduction provides details on the use, application, and benefits of 40 specific advanced energy technologies and services. By incorporating these and other advanced energy technologies into their plans, states can not only meet carbon reduction goals but also improve the efficiency, resiliency, and cost effectiveness of service provided by electric utilities. Fill out the form to download the report.